As we say “goodbye” to 2017 and “good morning” to a brand new year, I hope you’ll take a minute to pat yourself on the back. The past twelve months have been so tough for so many people around the world. But you did it. You’re here, and you’re still moving forward. 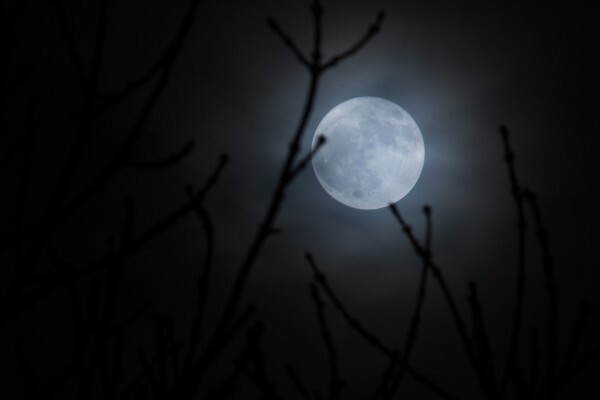 This New Year’s Day is particularly special, because it features a Full Moon — and a supermoon, no less! — which means the Moon is REALLY close to Earth, so we feel its emotional energy even more than usual. The next Lunar cycle is the start of our winter Eclipse season; and because the Nodes of Fate are at the site of the upcoming Eclipse, this serves as a preview of that time. Look for “fated” choices under this Moon, and expect highly public, rapid-fire karmic consequences. Do the thing, only if you would like it to be done back to YOU, three-fold. And because the World Axis is involved, people will talk! The Full Moon perfects on Monday, January 1st at 9:23 PM Eastern US time — at 11 degrees, 37 minutes on the Cancer-Capricorn axis. Scroll down for an image of the chart, cast for Washington, DC. Saturn, as we know, has recently moved into Capricorn, where he now finds a pack of other friends: Venus, the Sun, and Pluto are all in Cap, too, and (in the Washington, DC chart) fall in the Fifth House of creativity. 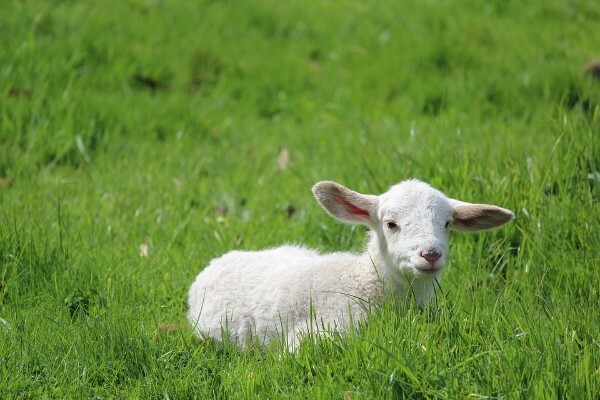 Such a Capricornian cacophony offers brilliant opportunities for down-to-earth manifestation, especially since the planets are opposed by the Moon, in nurturing Cancer, in the Eleventh House of hopes and dreams. This chart configuration is known as a “bucket,” with the Moon as the handle and the highest planet in the chart. This Full Moon represents the culmination of the New Moon cycle that was seeded on July 4, 2016, and tested on April 3, 2017. The cycle will end later in the year, on October 2nd. What projects or relationships do these dates correspond with in your life? You see it clearly now. At 24 Aries, stationing Uranus trines the Eclipse from last August at 28 Leo, as well as the degree of the upcoming February Eclipse at 27 degrees Leo. Pay attention to the information that surfaces on or near January 2nd. It suggests a preview of what we will focus on during this winter Eclipse season and marks the wrap-up of the summer Eclipses. It also indicates an awakening, in the corresponding area of YOUR natal chart. Uranus is called “the great awakener” because he shocks us out of complacency, and challenges us to move forward where we are stuck. Which House does 24 Aries land in for you? Time to take big action THERE, with the wind at your back. Which House does your natal Uranus live in? That’s where the changes will be made. What House does Aquarius rule? That’s where you’ll carry the Uranus-station changes out into the world. We also have a noteworthy T-square, with the Nodes of Fate at 15 degrees Leo-Aquarius. Jupiter has been acting as the third leg of the T-square, but now (at 17 Scorpio) he’s beginning to move on; Mars (at 14 Scorpio) moves in to take his place. Jupiter instilled the big-picture idea, now Mars is ready to take action. 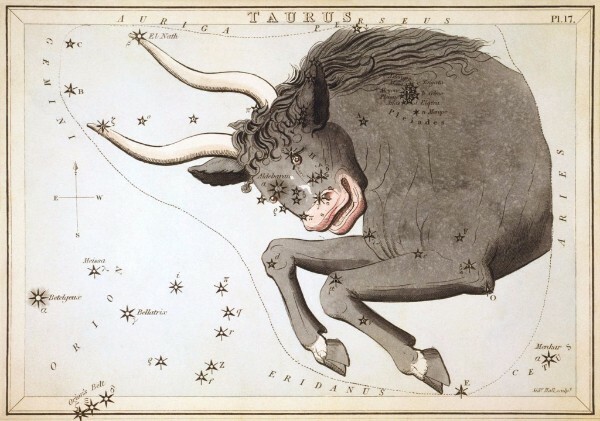 The tense T-square energy shoots out at 15 degrees Taurus, in the wise Ninth House of the Washington, DC chart. 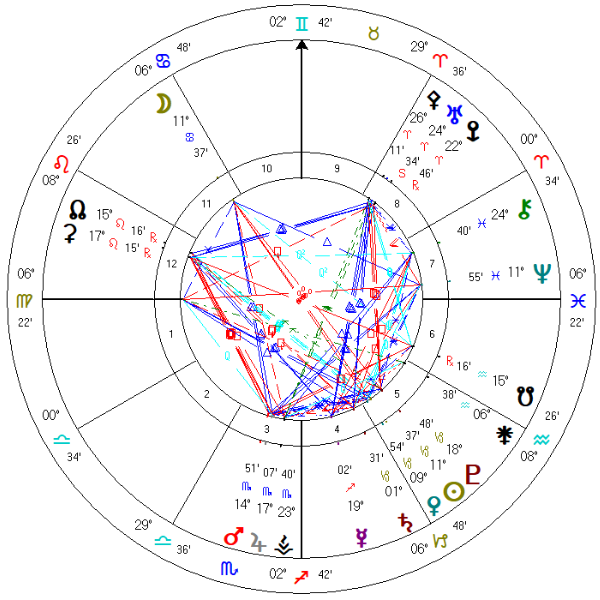 In the US chart, we find that Mercury is the ruler of both the Ascendant (6 degrees Virgo) and the Midheaven (2 degrees Gemini), and this Mercury is on the Part of Catastrophe. Don’t lose your head, even if all others are losing theirs. Actions have consequences. Weigh potential outcomes before making a choice. This is a time for hard work, focus, and dedication, all Capricorn keywords. It is winter here in the Northern Hemisphere: the nights are still long and the days are still cold — but deep in the heart of the Earth, spring’s seeds are unfurling and starting to show signs of life. Tend your seeds! P.P.S. If you’d like to listen to last year’s “Setting Your Intentions for 2017” webinar, you can download it here at no cost.